← WHAT DOES SUCCESS FOR THE UFT LOOK LIKE? Franz Kafka’s Metamorphosis is about what it means to lose one’s identity in an impersonal world. A teacher can become part of the ATR pool for many reasons. Maybe the school in which they used to work was closed or “turned around” and the new, probably young and inexperienced, principal saw fit to give them the axe. Perhaps they were brought up on bogus charges like corporal punishment or incompetence and even the officer at their termination hearing could not find grounds to terminate them, although certainly not from lack of trying. Whatever the case might be, the “system” has decided that it is best they travel to different schools every week to plug holes in programs on a temporary basis. This is in lieu of teaching a full schedule of their own classes. Not every member of the ATR pool is a teacher. There are also ACRs: those who worked as full-time counselors in other schools before the school was closed or before they were slapped with bogus charges. In that case, ACRs are not even allowed to cover classes because they cannot “legally” be in a classroom by themselves. Consequently, the ACRs usually stay in the teacher’s lounge unless ordered to perform some sort of clerical job that probably does not even need to be done in the first place. Most of these are ATRs are outspoken. They have strong opinions about how a school should be run. At their core, they have a sense of justice and fairness. Almost as a rule, they seem to be people who I would deem “skeptics”, which is just another way of saying “critical thinkers”. And they all want to teach. They all miss having their own classes and being able to build a rapport with their own students. Speaking to these ATRs, I have been able to learn possibly why some of the other ATRs come off as “surly”. It is because they have been robbed of their identities and senses of self-worth. One day, they were well-respected teachers. The next day, they are extras for whom the system seems unwilling to find a role. I am amazed not at how withdrawn some of them are, but at how most of them have kept their spirits high in the midst of such injustice. 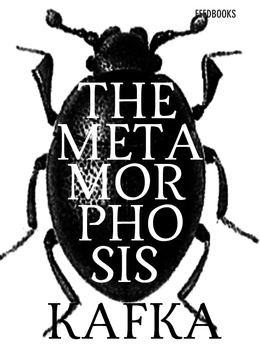 Franz Kafka’s short novel Metamorphosis features a young man who wakes up one day to find himself as a bug. In the opening scene, Gregor Samsa is a functioning member of society helping to provide for his family. His father sleeps in the living room wearing his old uniform that, at this point, is dirty and disheveled. By the final scene, Gregor Samsa is an insect whose family hates him. His father’s suit is suddenly clean and freshly pressed. Indeed, it is his father who seems the most bent on squishing the bug his son has become. The novel is, among other things, about a man who has lost his purpose in life. As long as he has a purpose, Gregor is the star of his family. His father, a man whose best days are behind him, lies neglected in the living room. But once Gregor becomes a bug or, in other words, once he becomes useless, his family locks him away in his room until they want him dead. His father, finally regaining his sense of purpose as a breadwinner, wants Gregor out of the way the most. Maybe this is because he sees in Gregor the useless figure he once was and he hates it. Maybe he just wants Gregor out of the way before he can usurp his role as breadwinner again. It is a story meant to highlight how fleeting our roles in society can be, not to mention how conditional “unconditional” love really is. The DOE and the UFT have treated ATRs as the bug version of Gregor Samsa. Mulgrew barely gives them a mention. Walcott floats hare-brained “buyout” schemes as a way to get rid of them. Both of these men would just prefer if these ATRs got the message and retired already. At the same time, many of our colleagues want to squish them, look down on them, pass judgment on them because they have no “purpose” in the system anymore. These ATRs must have done something to land themselves in this position, no? Furthermore, the tragic phenomenon of the disappearing black educator fails to register a blip on our union’s radar. I believe that one of the reasons why both the DOE and UFT do not keep reliable statistics on how many ATRs exist in our system is because so many of them belong to minority groups. If it was made public how many black and Hispanic ATRs existed, the DOE would leave themselves open to a discrimination lawsuit. Instead the DOE, in collusion with the UFT, keeps everything hush. We have a black chancellor, how dare I even suggest that the DOE has an inherently racist teacher policy? And the disappearing black educator is part of a much wider and much more disturbing trend overtaking the nation’s schools. We are constantly being told that the students of the inner cities need “no excuses” education and centrally mandated “standards”. These are just sterile ways of saying that the values of the communities from whence our students come have nothing of value to offer. It is best if well-to-do outsiders make all of the rules. Even worse, the reformers believe that the values of inner city areas are utterly deformed and in need of correction. As I have said before, reformers believe that our children need to be civilized more than educated. This civilizing is done by hired scab mercenaries from the Ivy League who model for our children the “proper” way to behave. In a system like this, we cannot have teachers who just might be from the same neighborhoods as our students. We cannot possibly have teachers who might be able to relate to their students as human beings. We cannot possibly have teachers that might show children that they do not have to hate themselves and hate where they come from to be a better person. Every time you see an ATR from a minority group, you are seeing this racist education reform agenda in action. And what of the ATRs who maybe are outspoken people with a little grey in their hair who might or might not be part of a minority group? These are the teachers that the DOE and UFT fear the most. The DOE fears their salaries since that means less money for them to hand out no-bid contracts. The DOE fears their knowledge and experience. They are afraid that they will speak too loudly or too forcefully or too persuasively against the 25-year-old Leadership Academy principals who have been marching into our schools. These are the teachers who might expose the fact that the Academy produces “leaders” who do not know which is the proper end of the chalk with which to write (by the way, the answer is either end). On top of this, these are the teachers who might just see teaching as an art form. They might think that every lesson and every student is different. They might believe that part of being a teacher is being an advocate both inside and outside of the classroom. This means that they might not see teaching as something that can be measured by test scores and mechanical rubrics. This also means that they might want their educational leaders to be educators themselves and not bean counters. In short, they will not teach their students in the robotic way mandated by things like “value added” and “Danielson”. They will not model for their students how to get along in a filthy system. They are not the best teachers to train the low-wage, low-skilled workers and consumers of tomorrow. A system full of these teachers just might teach their students that a better world is indeed possible. Finally, ATRs should teach the rest of us some empathy. Instead of assuming that they did something wrong or are just the dead wood of which the system cannot rid itself, the presence of ATRs should remind all of us that our own positions are tenuous at best. We are still able to come to our jobs every morning because the system allows it. One bogus accusation, one “C” rating for your school can throw your entire career into doubt. This wonderful identity of “teacher” we have built for ourselves is conditional. It is just as conditional as Gregor Samsa’s position in Metamorphosis. The love that our students, colleagues and maybe even our families have for us is conditional. We too can be robbed of our identities and have people whisper about us doing something wrong or being incompetent. Instead of being so smugly secure to think we are in a position to pass judgment, we should be reminded of how insecure we are in our jobs. We should even be thankful that we still have positions and reflect that gratitude and goodwill on to the ATRs we meet. This entry was posted in An Embattled Career, education reform, School, teaching and tagged Absent Teacher Reserve New York City, ATRs and Age Discrimination, ATRs and Racism, ATRs and Union-Busting, education, Identity, Teacher Harassment, Teaching, Work. Bookmark the permalink. It is a damn shame…. Thank you for stopping by. The ATRs that walk into our building are not that hard to spot, they are the adults that walk around the building that have that lost look on their face. They are the ones that sit in the teachers’ caf or the lounge and have no one talking to them I am not trying to pat myself on the back, but I realize that not for the “grace of God”, there go I., and I always try to make these folks feel as comfortable as possible. We had a couple of ACRs a few weeks back, and even though we are short counselors (isn’t every school, really?) and these folks busted their butts to help our folks, they were shown the door. It is very sad and pathetic. Oh, by the way, Mr. Assailed, the chancellor of this system, is neither white nor black. He is puppet. Whites and blacks, as well as other skin tones have culture, soul, and identities. Puppets have none of those. Yeah, the ACRs usually just languish at my school too. One time I saw one alphabetizing books in the library. And Walcott has the bloodless, humorless presence of a muppet. I am an ATR, I call myself a traveling teacher. I have been in the pool since September of 2011. It is something that I would not wish on my worst of enemy. I have been to over 60 schools in the school years 2011-12 and 2012-13. Many of the schools that I have been to have been horrible schools. The schools were either failing and being closed or phased out. The environment is one that you would need a flap jacket for, a can of mace or take a week long sick out, so as not to have to enter the building. I have been assaulted and harmed six times in these two years. I am still trying to get 2 days put back into my CAR which were coded as medical after students in a basement classroom turned off the lights and threw desks and chairs at me over two periods. I was injured and suffered/contine to suffer pain in my shoulder and knee, as I attempted to find safety under a small teacher’s desk. I have had to cover the bathroom, do hall duty, work as a gym teacher without a licensed gym teacher in the gym ( was assaulted in the gym where I sustained a concussion), I have had to peel stamps off of envelopes that were stamped accidentally, I have had to alphabetized bubble sheets for exams, I have had to write correspondence for a mostly illiterate secretary, I have had to send letters to parents–after folding the letters, I had to put them in envelopes and put them into a stamping machine, I have been in the save room, cover classes in an out of my license area…and much more, I’m sure I’ve got it somewhere here in my brain. I have been ignored by my union for the most part. I have seen nothing in the union paper for ATRs. There have been maybe three PDs for us in the past two school years. However, despite the training, there is nowhere that I can practice what I’ve learned if I travel from school to school each and every week. So, it is meaningless to me. I can’t use it because I am a highly paid babysitter. I am not treated well in most schools. Most teachers have the idea, probably from the Chancellor and the Mayor, that older, experienced teachers just don’t want to teach. We’re the lazy bunch, the whole lot of us. I have provided my resume on the Open Market. I have been mostly not called. However, when I got a call, I wouldn’t get a call back. When I went to a school, I was not chosen. When I did a demo lesson, it was sabotaged. So, looking for a good school, with a position available in my license area seems to be impossible to find. The first demo lesson, the principal counted down the time for the class, while I was trying to teach the class. So, while I was trying to teach, the AP in the back of the room was counting out loud “45 minutes, then 40 minutes, then 35 minutes…and so on. I couldn’t teach the class so I stopped and waited for her to finish. I was in another school where I was told to come in with a lesson for an ESL class in my license area. What I was met with was an ELL class, where both the principal and AP shouted at me from the back of the room, “We CAN’T HEAR YOU, SPEAK LOUDER! This happened throughout the period. There was nothing I could do, the students didn’t speak English, except for 1 our of 34. So, I stood on my cane ( I had knee replacement surgery and it took forever to heal..so I walked on crutches, then on a cane for a while.) The principal held the door for me to exit. And once outside the class he told me “go, just go” all the while pointing to the EXIT. Again, I hobbled and was “shell-shocked” by the treatment. I have gone to another school that was not only 2 hours away from my home, but the time became three because I was walking with the aid of crutches, up and down a multitude of staircases. I also had to catch a ferry there. In yet another school, I was not even interviewed, nor did they have my resume. I had to hand in my resume. Myself, and a former colleague of mine were there together. She had his resume. She told both of us, that she just wanted to meet us, that was all. That was the interview. He was called back, I was not. I can’t assume anything because I don’t really know what went on there. ?? At another school, they wanted me to teach a special ed class in my license area, but they never told me that it was a SPED class. Infact, I didn’t find out until I started the class. I saw four paras in the room. I was graded immediately. Then, I had to go all over the building looking for the AP. No one knew where she was. Then, after a fire drill, and having to be locked into a room, then looking some more for her, I found her. She was talking to someone. And without talking to me, nodded and briefly said “we’ll talk.” Again, I was shocked! I went to another school, and was told to prepare a demo lesson. I was given specific instructions on how to prepare my lesson. It was a power point presentation mostly, with lots of hands on materials, group, individual work and class discussion. I got to the school an hour early. I tried to make my copies. The machine ran out of paper, the stapling device didn’t work, and then when it was time for me to teach, I didn’t get to staple all of the booklets. After entering the class, I organized my stuff. Then, I had my flash drive ready to go. The computer they gave me didn’t work at all. It took a little time to get me another and to set it up. What happened afterwards could only be called sabotage. The computer that they put me on had a passcode on it. So, after 10 or 15 minutes, the computer would time out and would need the passcode entered. It happened the whole period. This put a huge dent into my lesson because I had a short movie clip on it, in order to tie the lesson up for them. The kids immediately began to talk, to take out cell phones and and ipods. The AP in the room neither said anything or did anything to stop this from happening. I ran out of time. I didn’t get the job. I have had administrators, and students shouting at me in my face about whatever it was they thought I did or did not do. Students have cursed me out and threatened my life with serious bodily harm. I have been denied keys to bathrooms, elevators and classrooms. I have had to sit for hours, sometimes whole days in teacher’s lounges and cafes. I had my coat stolen from one of the “best” high schools in Manhattan, where the principal blamed me for having left my coat in a “Teacher Only” Cafe. It wasn’t my fault why the Mayor closed my school and co-located 7 schools in that one building. Two years after I had joined the school, the Mayor put the worse kids from MLK, Jr. into our school. Over two thousand kids were put into our school. Gang violence, students skipping school, students not passing classes or the regents exams, fights leading to suspensions and injuries to staff and teachers, led to our school becoming a failing school. This could happen to you, and you will find yourself right where over 800-1400 of us find ourselves, swimming in the pool. If your school is rated C or worse, you are in danger of becoming excessed. Once excessed you will go from school to school on a weekly basis. As you can see, not one UFT rep has even mentioned this. We ATRs/ACRs are the new “untouchables”. No one in the union mentions our names. They don’t discuss issues of importance to our members in the pool, we have no dedicated page or an ATR/ACR Bill of Rights or invites to conferences are what are our rights and responsibilities, no Chapter Chair to speak of, and Amy Arrundell, while often unhelpful, makes you feel like a nobody when you ask her a question or for assistance with an issue at your rotating school. Then, add this new information to the mix and know that is it just a matter of time until you quit or or terminated. Mr. Mulgrew, our UFT President, has agreed to, in writing, the principals in all schools to have the right to rate you ineffective. So, what this means is that up to 7% of teachers will be rated “Ineffective” just because he signed onto it with the New Teacher Evaluation System. So, if you have a principal that you disagree with or don’t get along with, if you are outspoken, if you are not part of the “program”, or for whatever other reason the principal likes, he or she can rate you this way. So, here’s my thinking. The UFT keeps quiet about the existence of ATRs. We get little to no PD. If we do get PD there is no means of applying and practicing to hone it. We are older, we are outspoken, we have experience up the wazoo, we get paid a higher salary than the newer teachers (coming out of the Academy and getting our jobs..because for one of us, they can hire three of them_), and then the deck is now stacked against us. We are the 7%. Again, this is “Coming up the Pike” and the UFT knows it, and they choose to ignore us. Just my two cents as a two year swimmer in the pool.